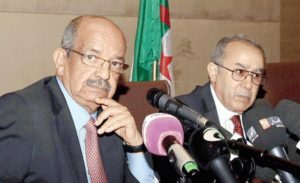 Algerian and Polisario leaders can no longer hide they are losing ground in the diplomatic battle they have been waging against Morocco for four decades. The Algerian regime, which has long claimed neutrality in the territorial dispute over the Moroccan Sahara, now openly shows they are a party to this conflict. Instead of trying to defuse the ticking time bomb that is currently threatening the country, because of the oil prices fall and the subsequent potential social unrest, the Algerian government found it timely to donate a batch of new military equipment to the Polisario mercenaries to fuel escalation against the Moroccan neighbor. This suicidal action that could ignite an armed conflict and jeopardize stability of the whole region can only be explained by the Algerian rulers’ growing frustration following the successive diplomatic failures they suffered in their war against Morocco. Actually, Algeria suffered successive setbacks at the United Nations, the European Union and especially at the level of Africa, as it failed to abort the readmission of Morocco within the African Union or at least to counter its very successful economic breakthrough in the continent. And after the departure of the former UN Secretary General Ban Ki-moon, Algeria has just lost another major ally in the person of Ban’s personal envoy in the Sahara, Christopher Ross, who handed over his resignation letter to the new UN chief, Antonio Guterres, last week. After they failed in their attempts to lure the international community about alleged human rights violations in the Sahara and alleged looting of the territory’s wealth, the Algerian leaders are now playing their trump card, that of the military option. They nevertheless took care to entrust the dirty task to the Polisario and its leader Brahim Ghali, who threatened to resort to arms again. Yet, deep inside, Algerian leaders know that the winds are now blowing in favor of Morocco at the United Nations and in Africa as well.